"ENGAGING AND IMPRESSIVE. PIC SHOULD PLEASE LADIES, GENTLEMEN AND CHILDREN OF ALL AGES!" 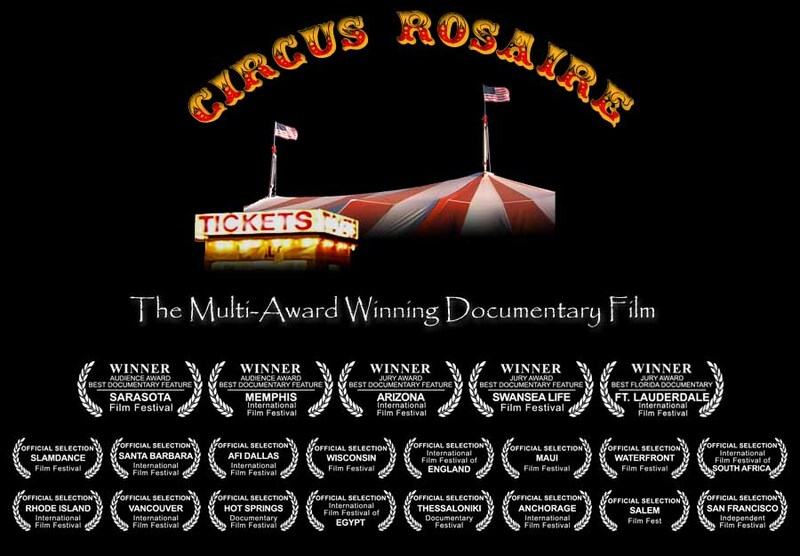 "CIRCUS ROSAIRE IS A CHARMING, ENGAGING GEM OF AN INDIE FILM!" "Touching and poignant, Circus Rosaire is a delightful telling of a family tale that's a real and classic success story, complete with heartaches, controversy and lots of love." "INSPIRING TEARS OF SADNESS AND JOY, 'CIRCUS ROSAIRE' IS FOR THOSE WHO FIND HEROES AMONG COMMON FOLKS."